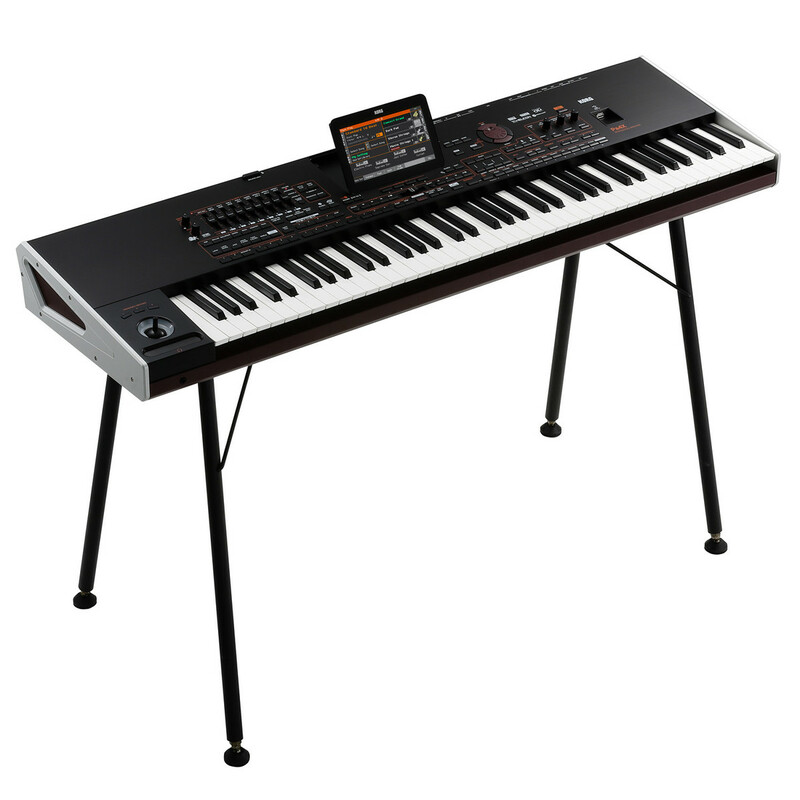 The Korg Pa4X Professional Arranger Keyboard features 76 semi weighted keys with velocity sensitivity and aftertouch, housed in an elegant, streamlined aluminium cabinet with a huge 7-inch capacitive TouchView™ display with tilting system. 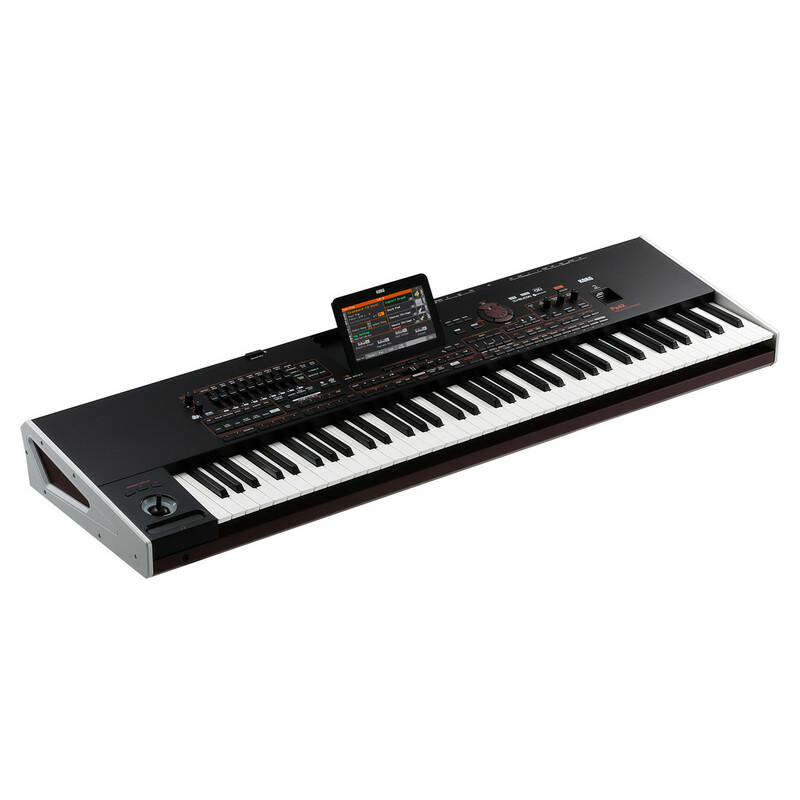 Ideal for composing, recording, and combo use, the intuitive Pa4X really comes to life in the hands of the solo keyboard performer and entertainer. KORG’s arranger keyboards have been used by hundreds of thousands of music professionals across the planet. The Pa4X honours this rich history with a combination of unbeatable sound quality, intuitive control, and innovative features, developed with with powerful new technology and progressive input and ideas from leading performance musicians from around the world. Create ultra-realistic performances rich in expression, all in real time and on demand with the unique DNC (Defined Nuance Control) - reproducing the subtle nuances and articulations of acoustic instruments. More than 90* authentic drumkits, including Ambient Drums, breathe life into any rhythmic passage; the Drum Family Easy Editing feature offers total control over volume, pitch, EQ, and more. 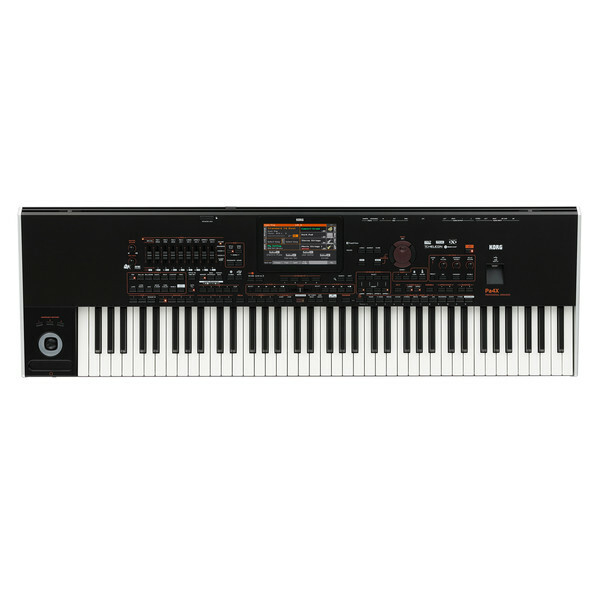 An additional 400 MB* of user memory allows new sounds to be added quickly and easily using KORG, WAV, AIFF, and SoundFont™ formats. Conduct your own sampling session and take advantage of the complete sample recording and editing features found in the Pa4X. Whether you're on stage or in the studio, the entire screen can be tilted forward and back to provide the perfect angle for optimum viewing. The he multi-function Search feature can find what you are looking for quickly. Styles and Keyboard Sets can be read directly from a USB drive without the need to load data in the internal memory. The Pa4X is packed with over 500* highly-versatile Styles from around the world that you can play along with. Each Style is a fully realized musical environment dedicated to reproducing a specific genre, created by KORG's international sound team. Many Styles have been brought up to date with new sounds, enhanced effects, and re-balanced mixing. Each Style features an assortment of Intros, Variations, Breaks, Fill-Ins, Endings, even a count-in.